Is RM Studio a risk assessment tool? Yes, RM Studio is much more than a risk assessment tool, that uses an Integrated Risk Management Framework in a hybrid environment. The methodology and functionality of RM Studio provides users the necessary flexibility to define their own risk assessment procedure and implement standards according to unique business needs. How does RM Studio manage residual risk? RM Studio's Risk Treatment presents the assessment data combined with the control implementation data to calculate the residual risk scoring. The user is then presented with the choice of how to manage the residual risk: Reduce, Retain, Share or Avoid. What kind of support do RM Studio users receive after purchase? The RM Studio Team's main focus is to ensure customer satisfaction. 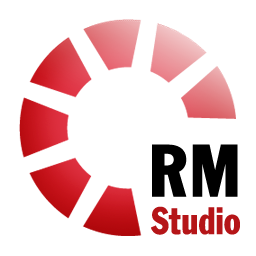 After you purchase RM Studio for your organization, we will support you with the installation and database setup. We also provide a basic instructional demonstration up to one hour and additional training is available for purchase. Throughout the life of the license you are welcome to contact us for additional support, because we want you up and running at all times. Is RM Studio a web based solution? RM Studio is hybrid solution with a client - server database system, but a web-based solution is available for external use outside the client. The Web solution includes: Dashboard, Risk Owner Tasks, My Risks, My Documents/Policies Folder, and Recent Incidents. How does RM Studio assist users in obtaining ISO 27001 certification? RM Studio's original methodology is based on the risk management guidance from ISO/IEC 27005, but has been upgraded over the years to incorporate elements of ISO 31000. Does RM Studio offer consulting? Yes, our team of risk management professionals can work with you to develop a service plan based on your organizations unique needs. For more information, contact us at info@riskmanagementstudio.com. Does the RM Studio Team provide technical support for users? Yes, RM Studio's customer service team is here to help. We can assist you with technical issues regarding the SQL database, installation, updates, and other trouble shooting. For more information, contact us at info@riskmanagementstudio.com. Is it possible to create my own evaluation templates? Yes, many of our customers create their own evaluation templates to meet their unique risk management needs. RM Studio has been designed to be scalable and flexible to accommodate customer requirements and their changing needs. The software comes with a default predefined evaluation templates to help users getting started in risk assessment. If you have any questions regarding this process, please contact our customer support at info@riskmanagementstudio.com. Is RM Studio suitable for different industry sector needs? Yes, RM Studio's versatility enables users in all industry sectors to manage their specific governance, risk and compliance requirements. RM Studio is used by all types of organizations on a global scale. What does data traceability mean? In all software, it is important that developments and change in data can be examined. This applies particularly to software used in risk and quality management. In software offering traceability, the following needs to be recorded as a minimum upon each change to data: * Who made the change * The status of the data before the change * The status of the data after the change * When the change took place * The effects of the change on individual parts of the system or the system as a whole Data traceability is a key component in RM Studio. Certification is confirmation by a third party that operating procedures comply with stated criteria. An organization can be certified in part or in whole. The scope of the operations to be certified must be known, and the certification is limited to those activities. Certification is accredited if the certifying party has been validated by a government-recognized accreditation body. One example of such a government-recognized accreditation body is the United Kingdom Accreditation Service (UKAS). The British Standards Institution in London, which has a branch in Iceland, is an accredited certification body. Certification is not accredited if the certification body itself has not been validated by a government-authorized accreditation body. Does RM Studio address reputation risk? Yes, RM Studio can be customized by users to address operational risk of all kinds. Reputation can be managed as a specific business entity or as the aggregate risk management process within RM Studio. See our article on reputation risk management for more information. Does RM Studio address financial risk? No, currently RM Studio is developed and equipped to manage operational risk of all kinds. We are currently working with the University of Reykjavik to develop a financial risk management module for RM Studio. Does RM Studio address business continuity planing? Yes, RM Studio has a Business Continuity Management module. The goal of any business continuity management is to protect critical business processes from the effect of major failures or disasters. With integrated measures through prevention and error recovery, the effects of disruptions and crises are reduced to an acceptable limit. Business continuity plans, sometimes referred to as disaster recovery or contingency plans, are an integral part of information security management system in accordance with international standards. Such plans include categorizing operations by importance as well as specifying parties with well-defined roles during emergencies, actions to be performed in order to recover operations in a timely fashion, and regular testing. Business continuity plans need to be reviewed regularly to remain valid. Normal 0 false false false EN-GB X-NONE X-NONE One of Stiki’s main focuses is customer service. Our expert team provides an outstanding service assisting customers either by phone or via Team Viewer. We have a group of in-house consulting specialists, providing tailor made services such as training and courses, through the web and on site.